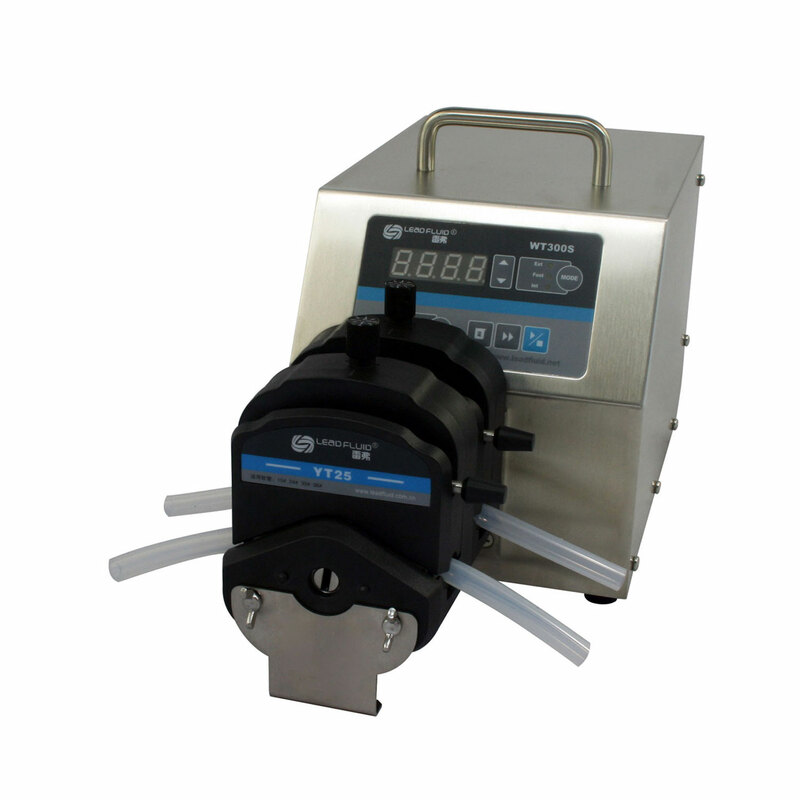 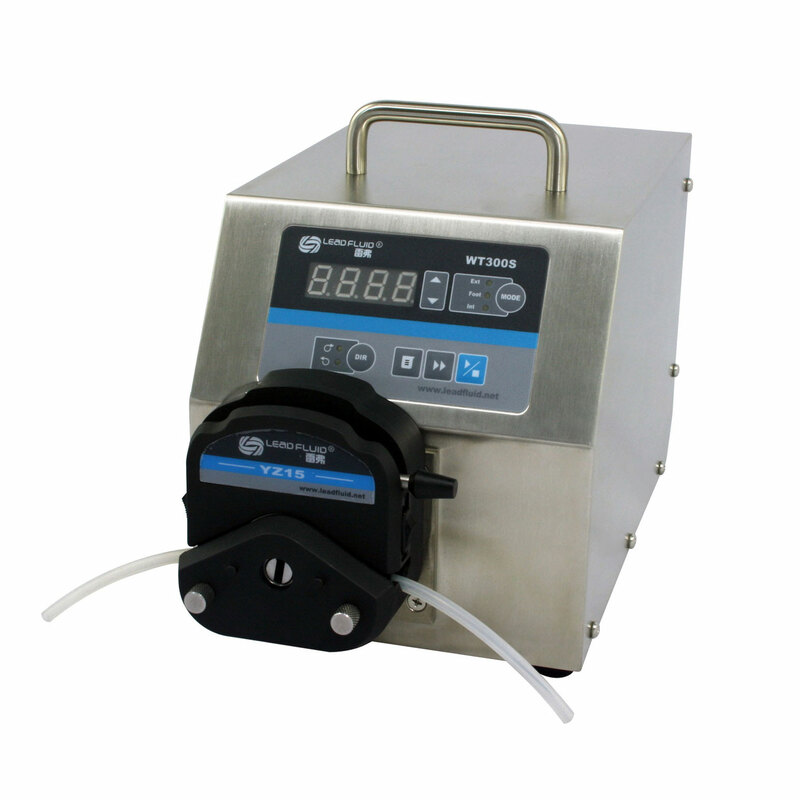 WT300S pump can work with up to 4 pump heads because of the large torque DC brushless motor drive and it’s maintenance free. 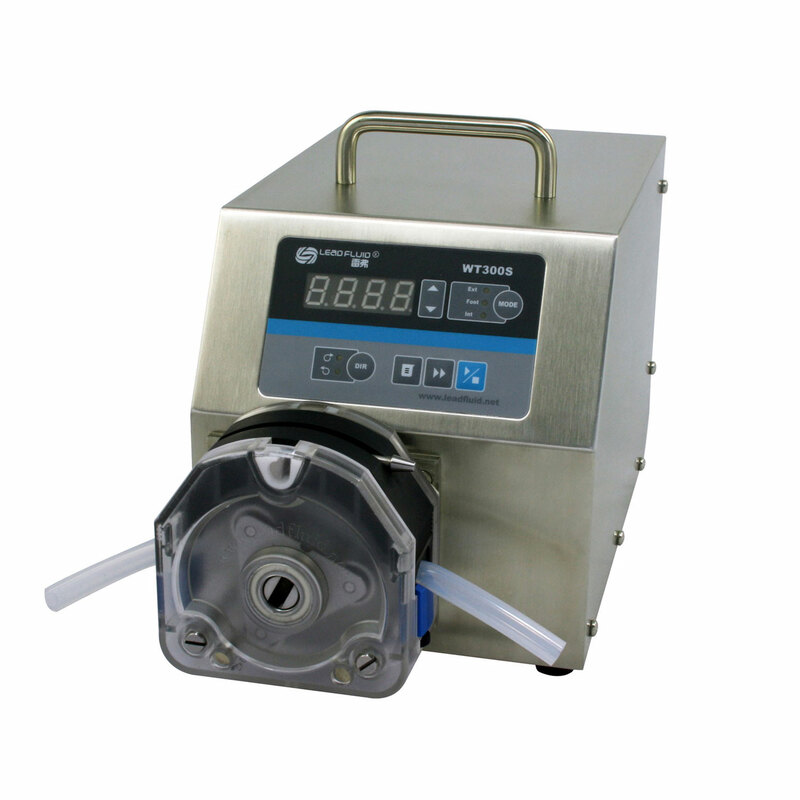 It has basic functions such as reversible direction, start/stop, full speed (for fast cleaning) and adjustable speed. 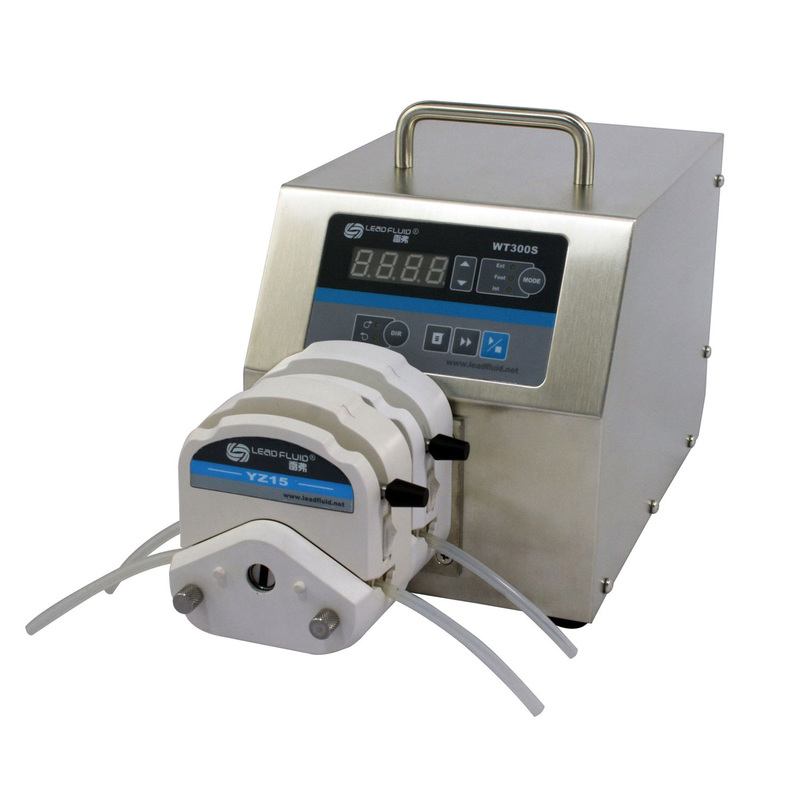 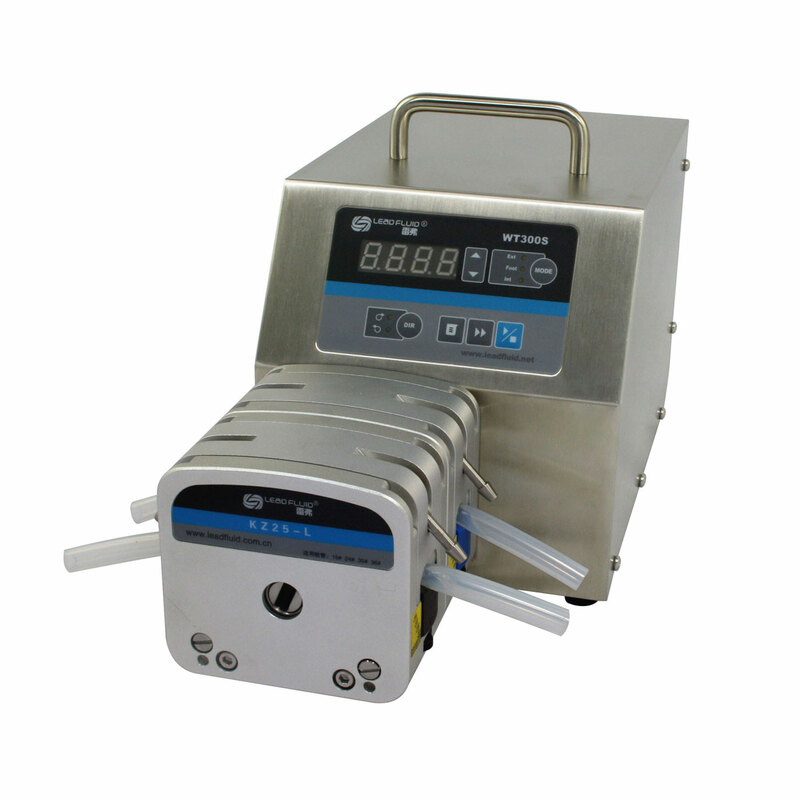 The start/stop, reversible direction, speed adjustment functions can be controlled by external control signal, besides it also has time dispensing function. 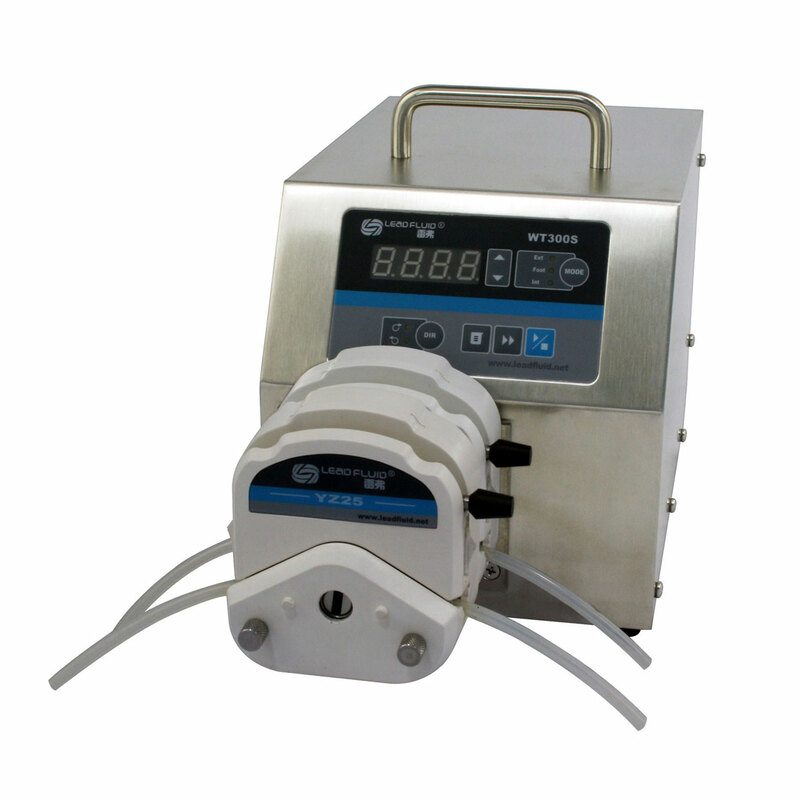 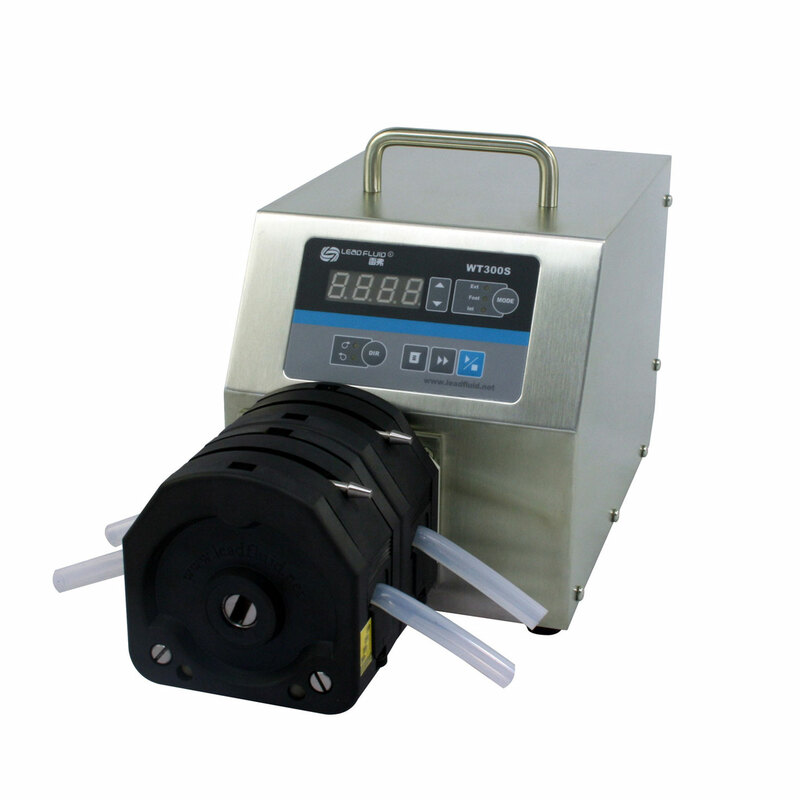 With RS485 MODBUS communication interface, the pump is easy to communicate with external device, such as PC, HMI or PLC. 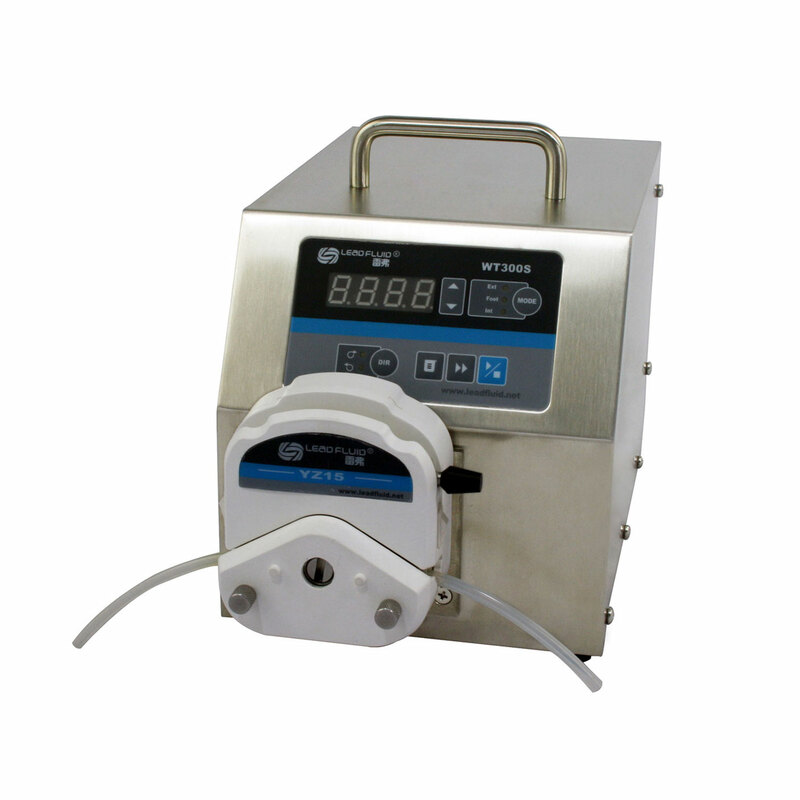 Four digits LED indicator display working speed. 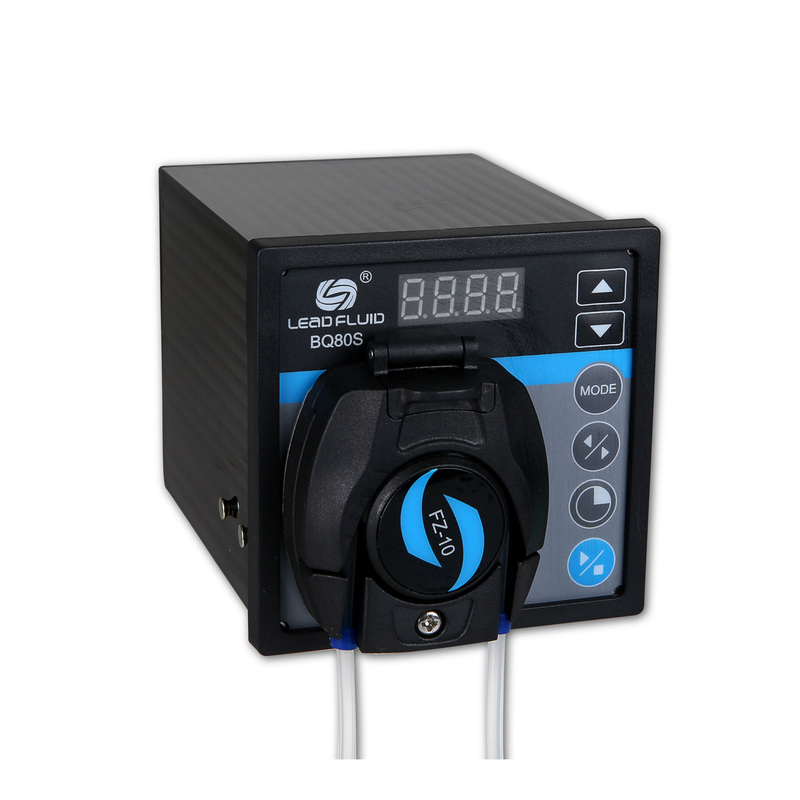 The LED indicator displays the internal, external control, footswitch etc working modes. 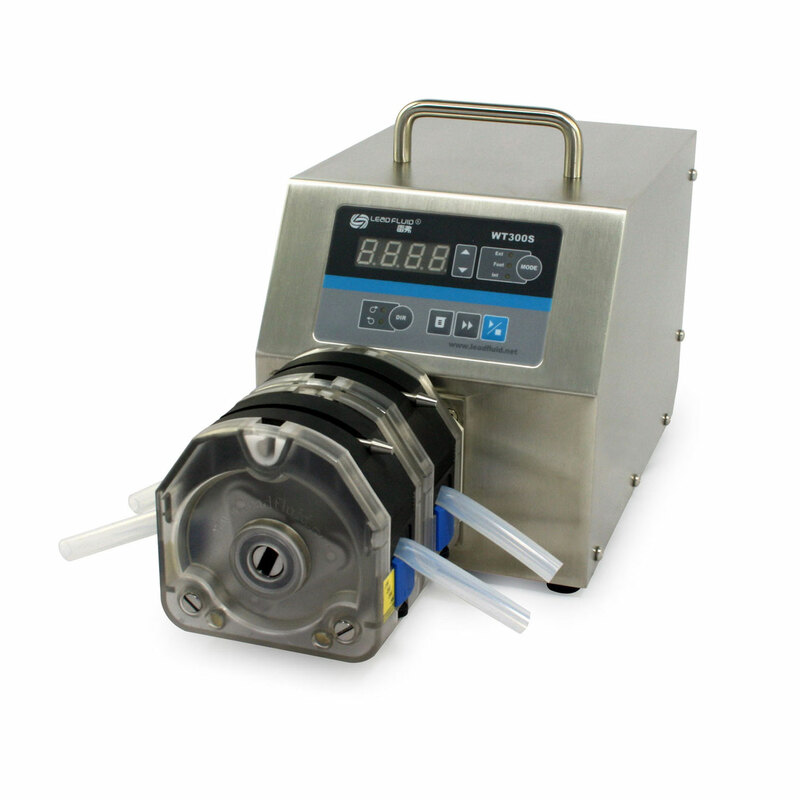 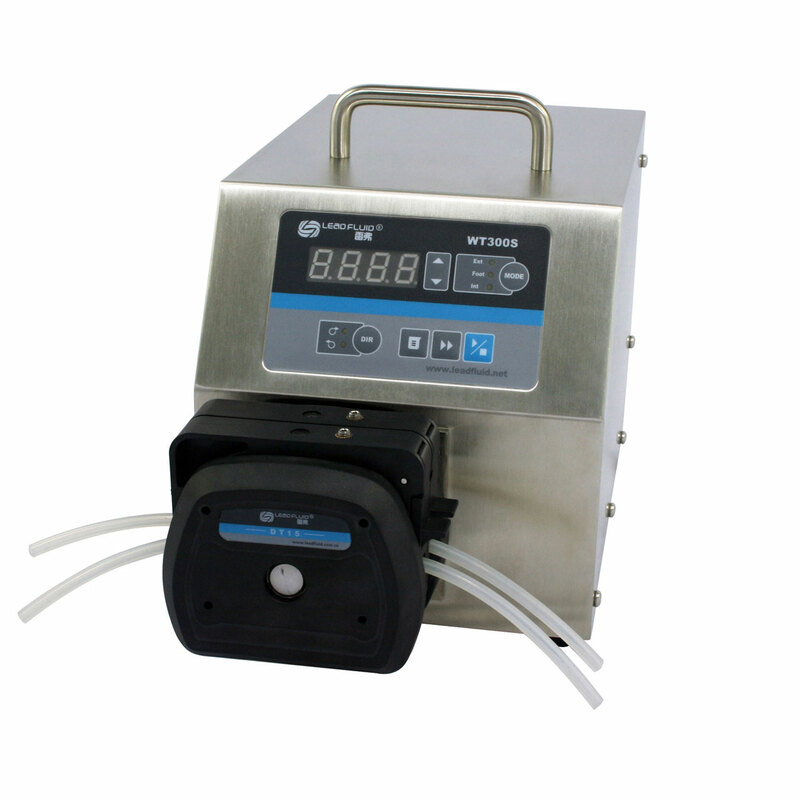 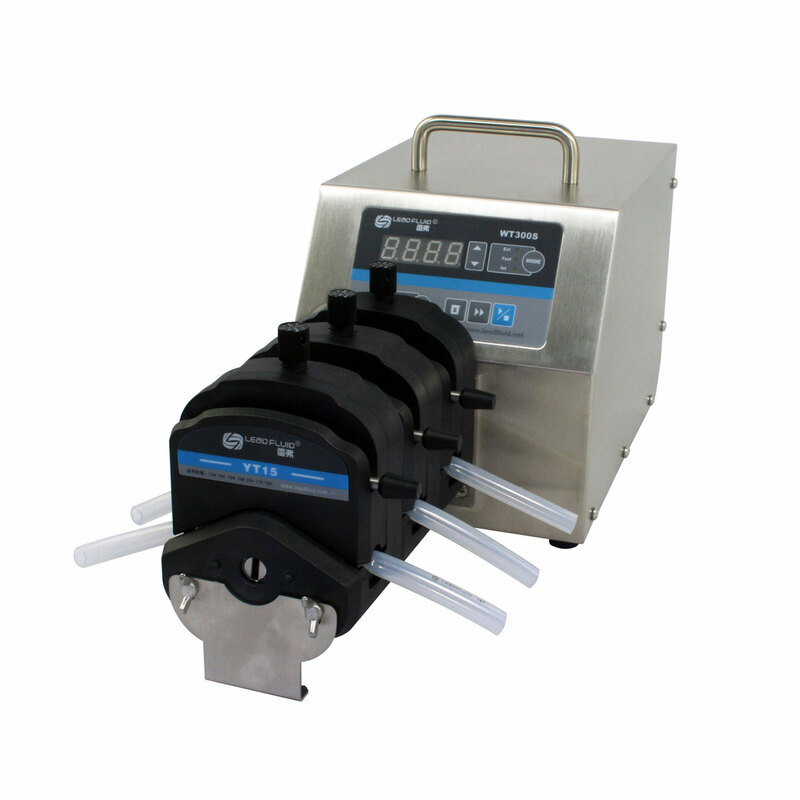 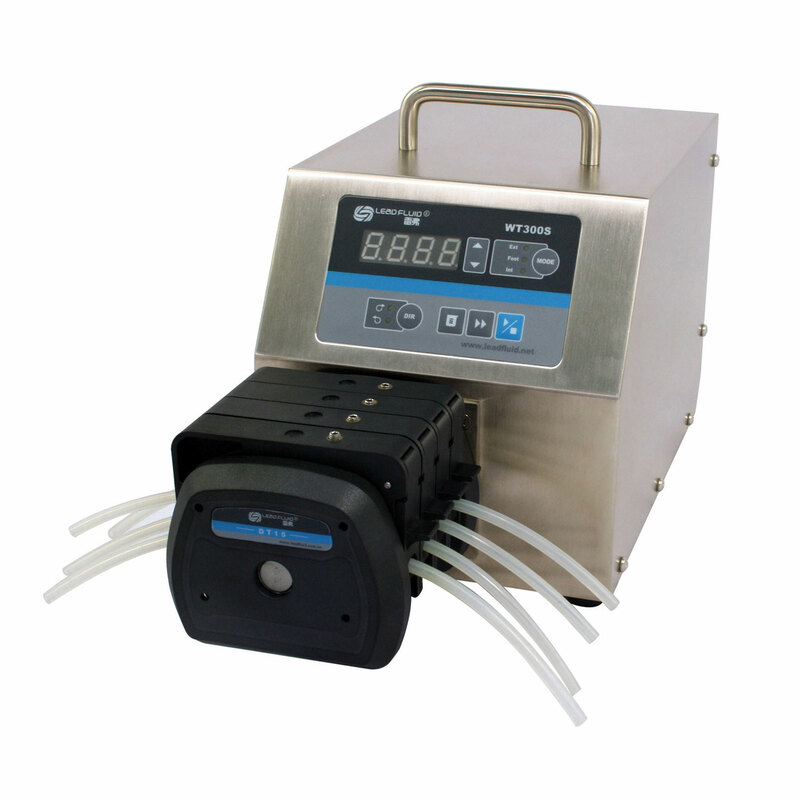 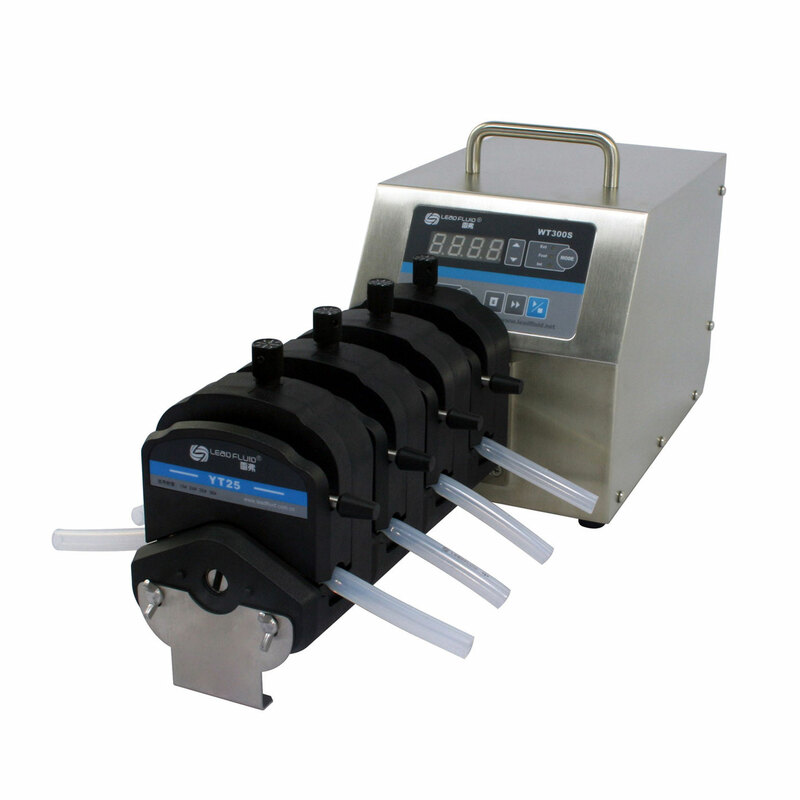 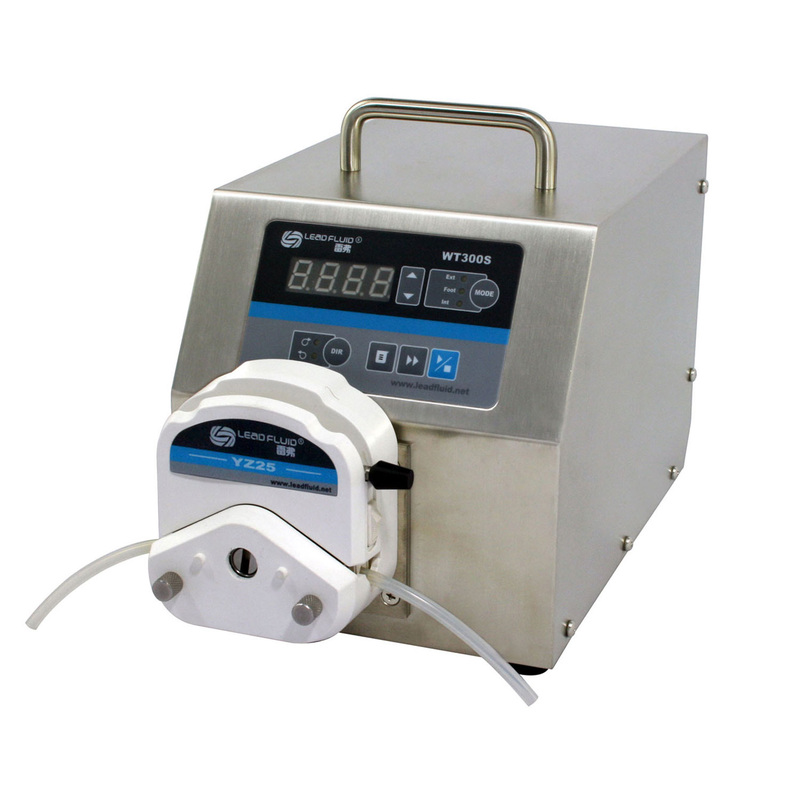 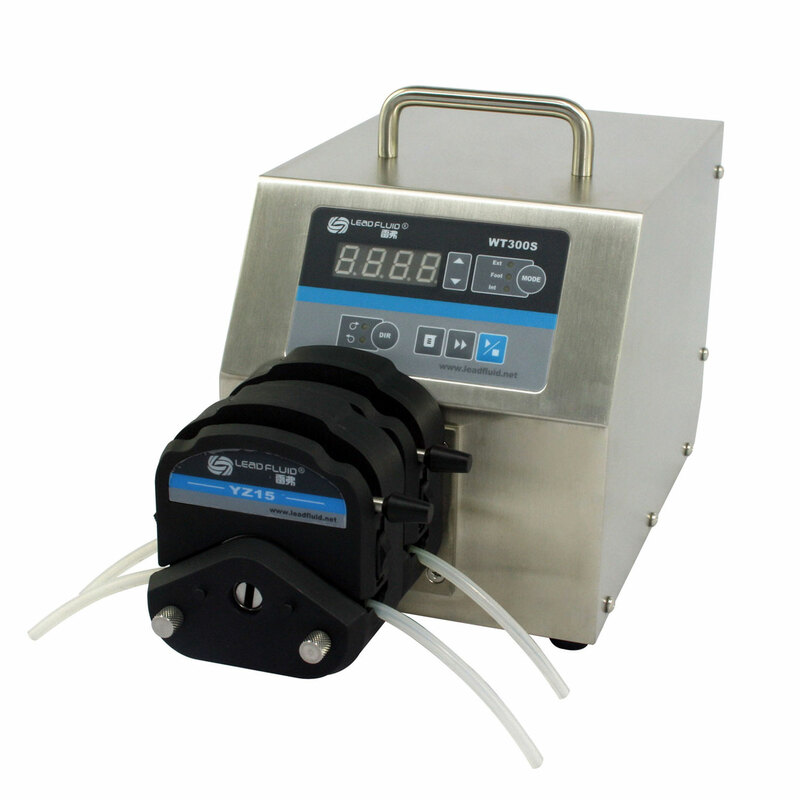 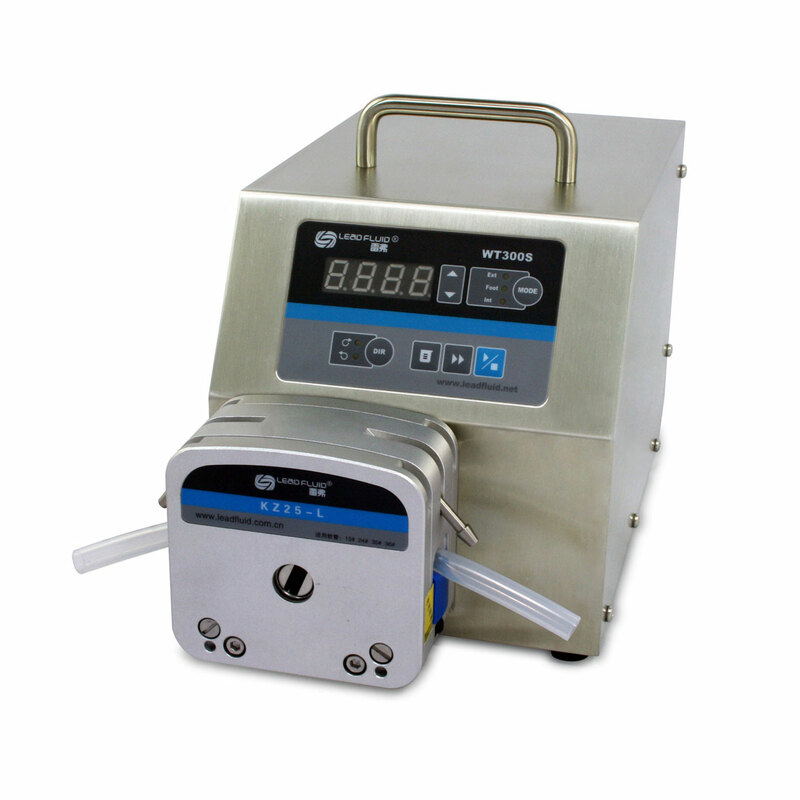 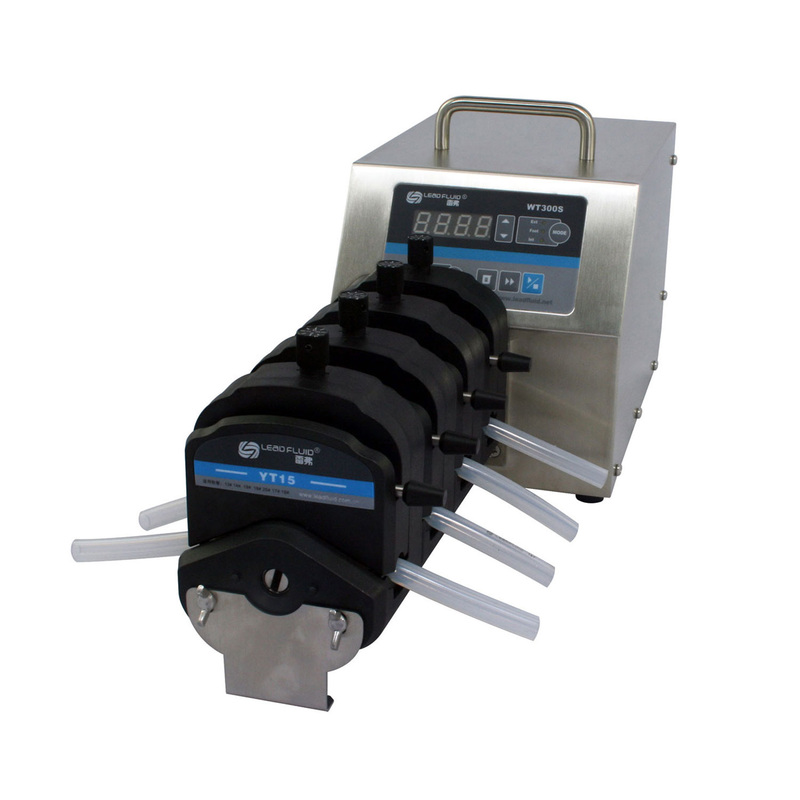 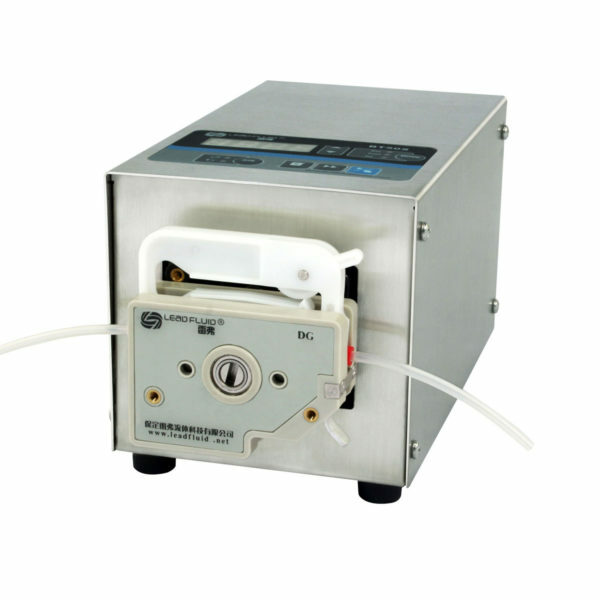 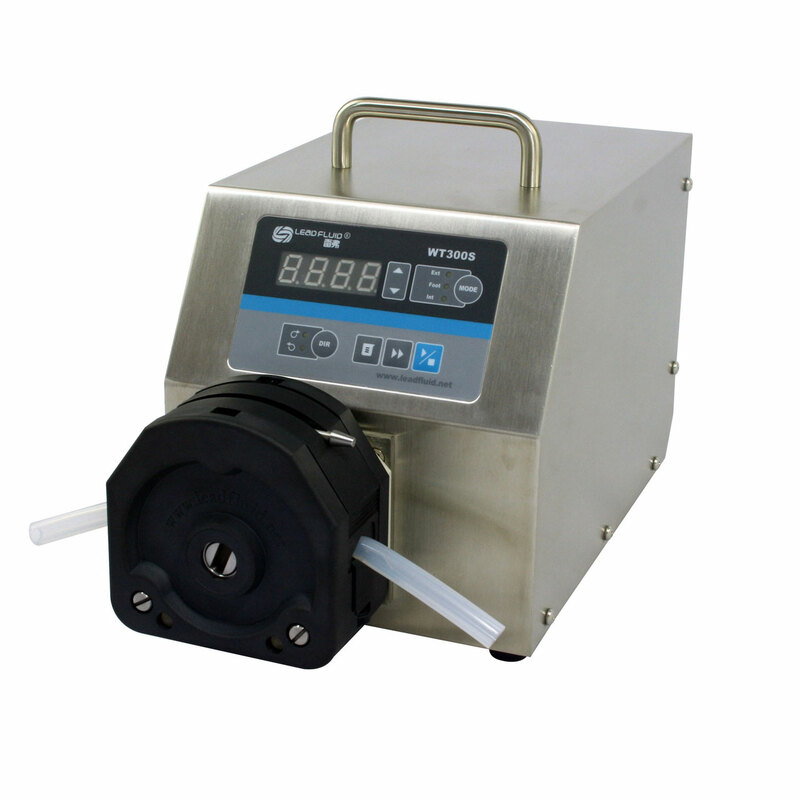 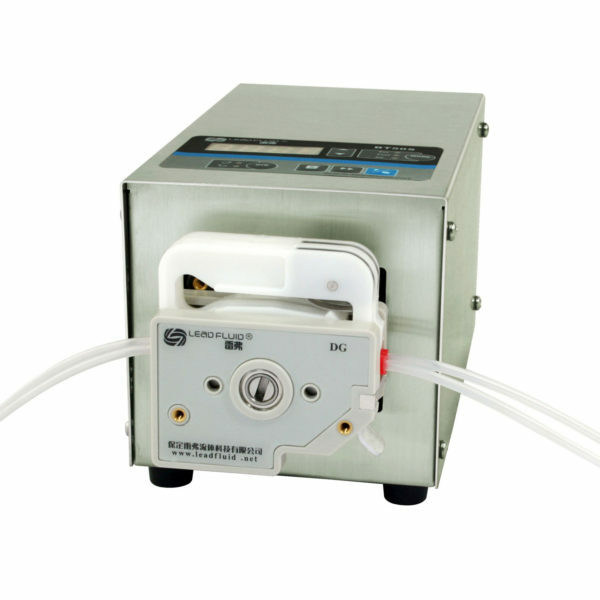 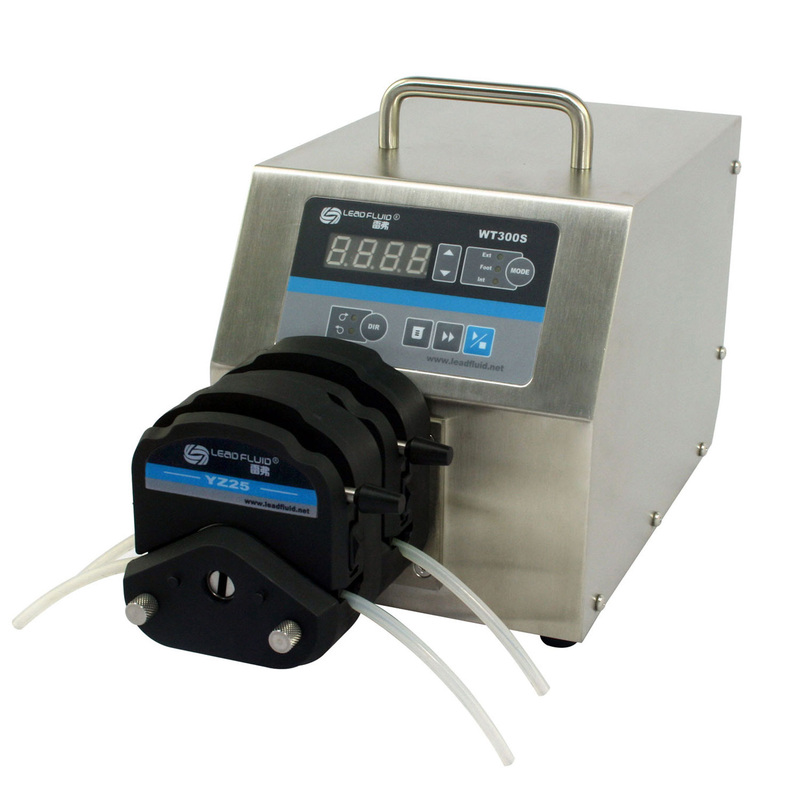 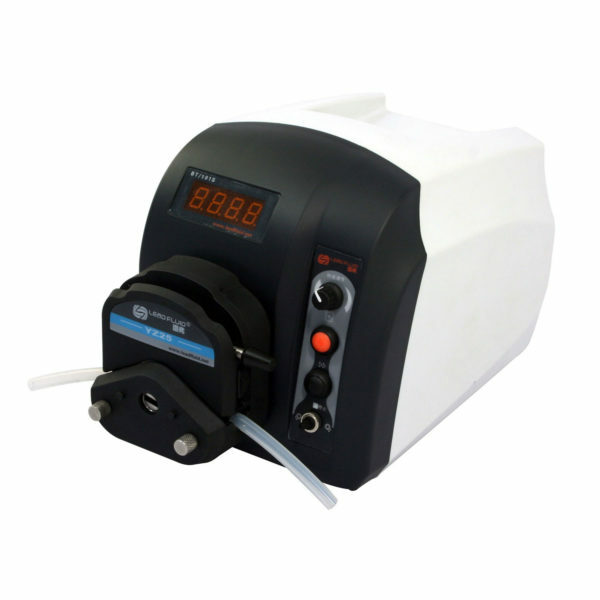 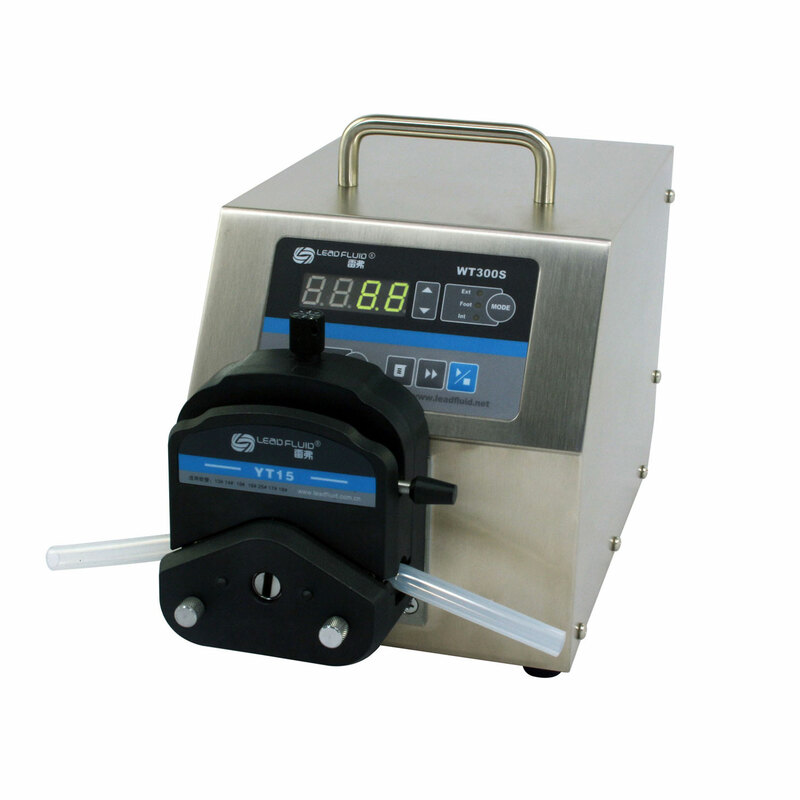 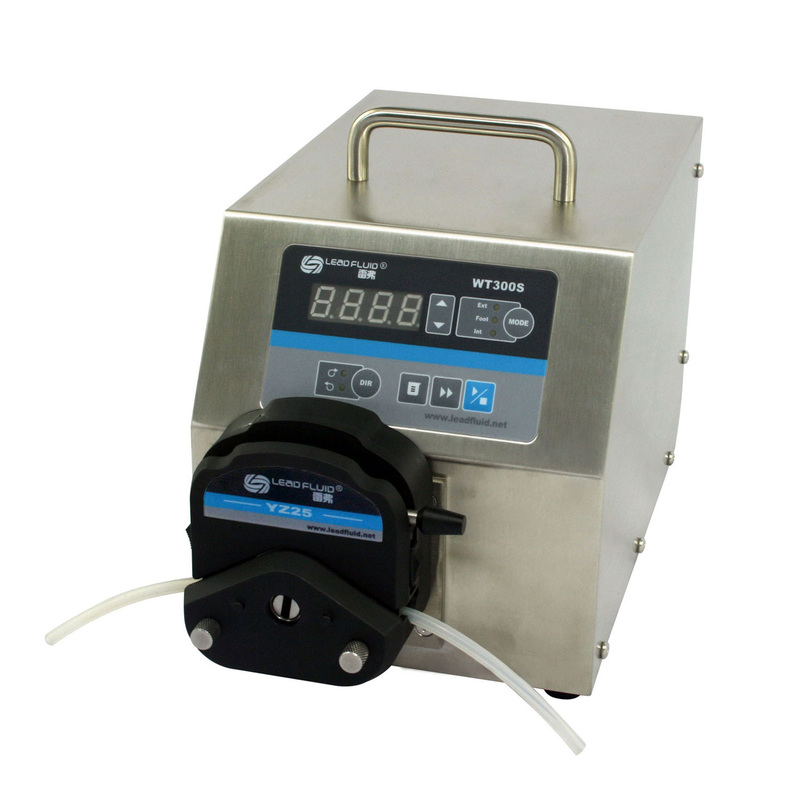 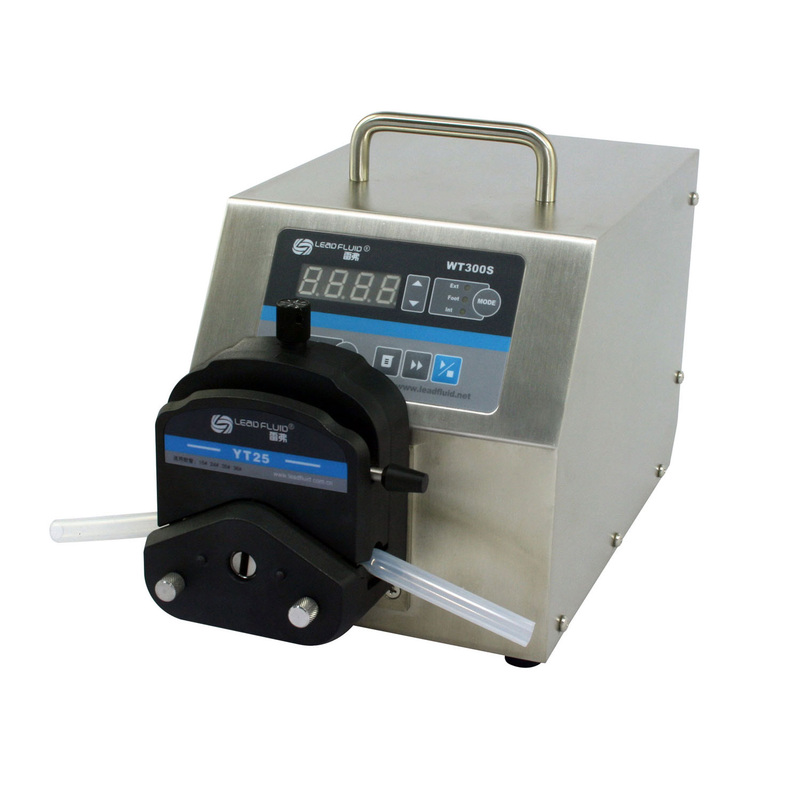 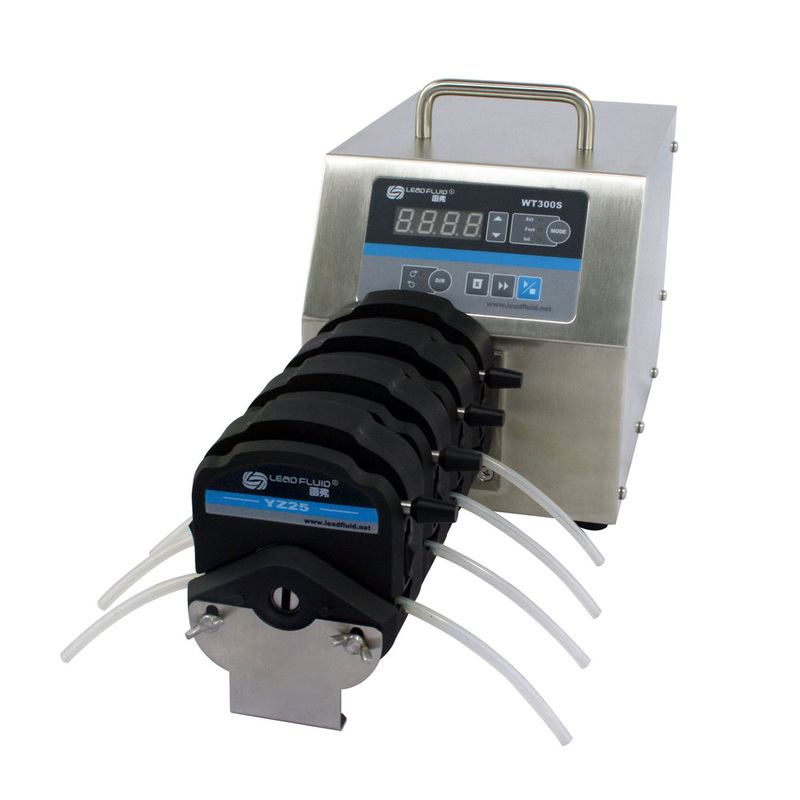 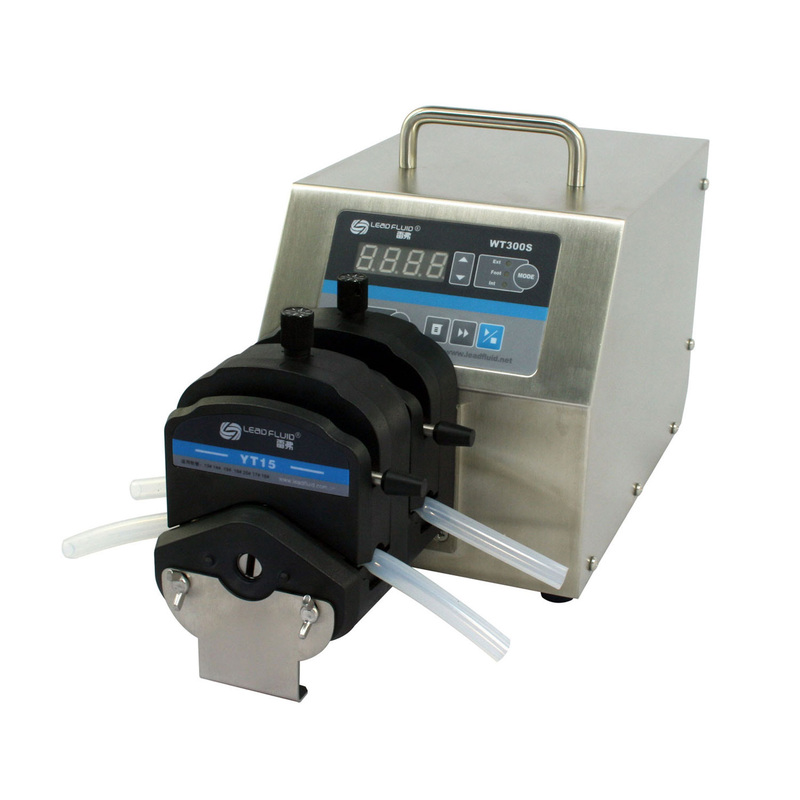 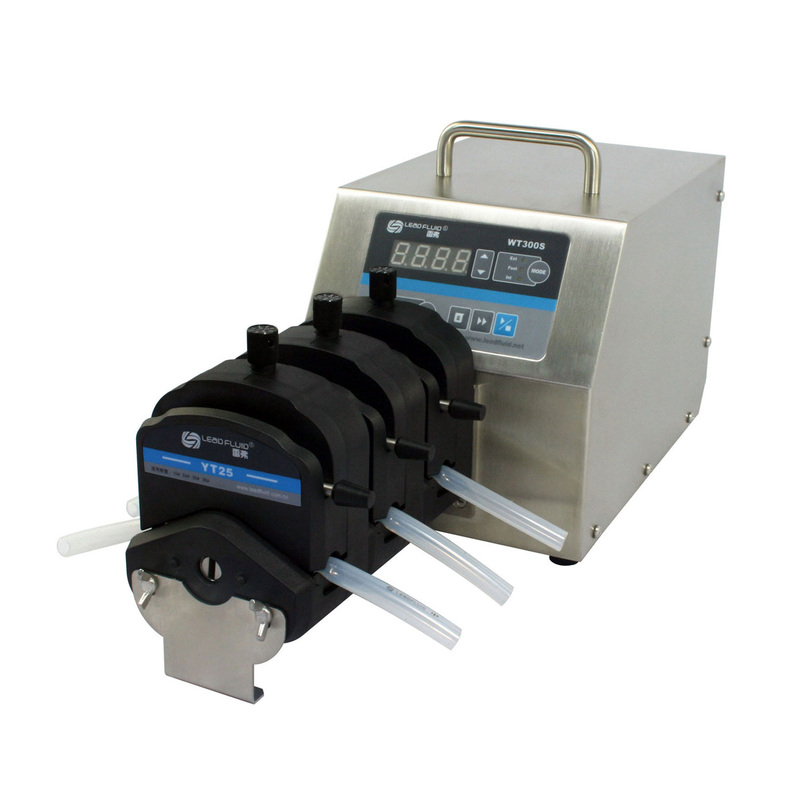 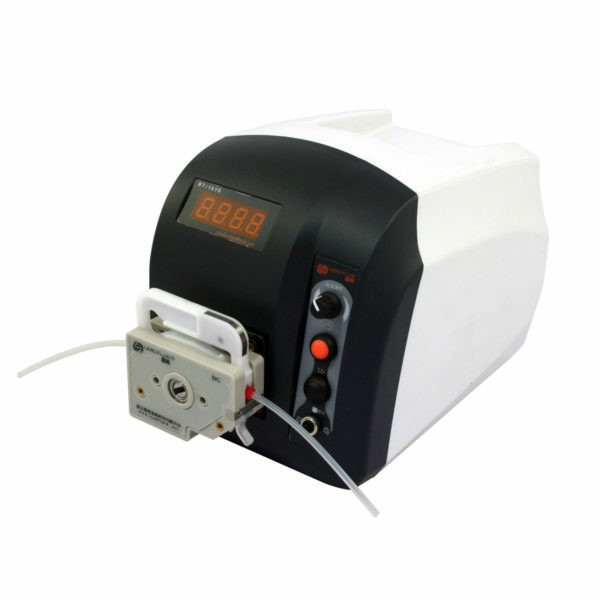 Easy dispensing functions, repeats liquid dispensing by time or volume. 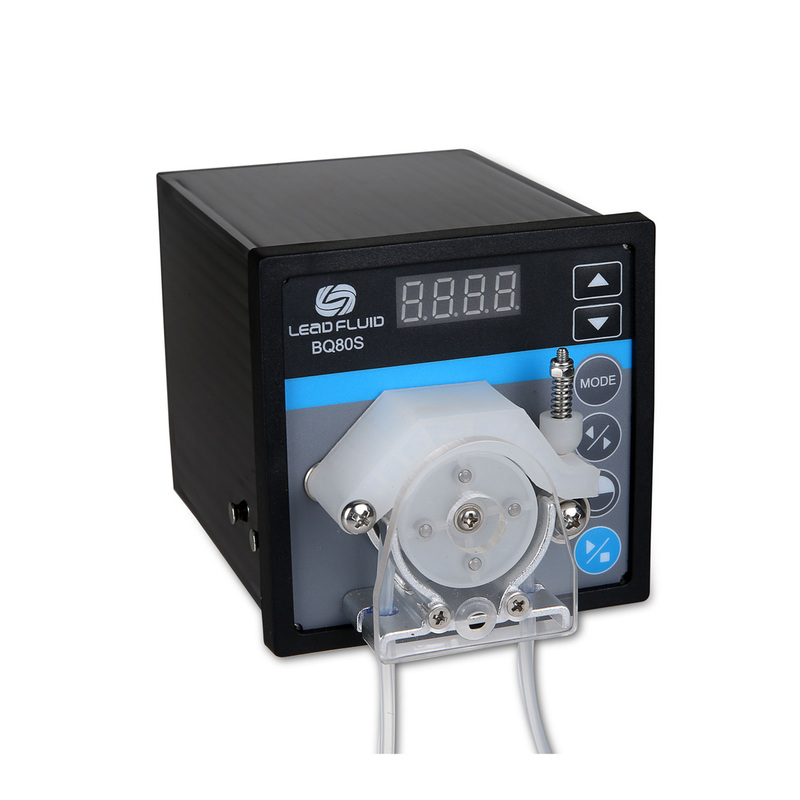 External on/off voltage signal controls the start/stop, reversible direction and easy dispensing function, optically coupled isolator; external analog control signal adjusts the rotate speed.